I dont think Im ready. The world’s first interactive paper computer is set to revolutionize the world of interactive computing. 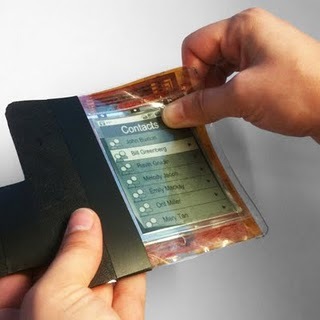 The smartphone prototype, called PaperPhone is best described as a flexible iPhone – it does everything a smartphone does, like store books, play music or make phone calls. But its display consists of a 9.5 cm diagonal thin film flexible E Ink display. The flexible form of the display makes it much more portable that any current mobile computer: it will shape with your pocket.